Regular readers of the Macalope will know that Android is “Winning™” the smartphone war (actual winning not included), but now we have more proof of just how dramatic the ultra-mega-win is. Yes, for yet another year, more developers are starting iOS apps than Android apps. Don’t tell Henry Blodget. The Macalope would hate to upset him heading into the holidays. Besides, the Macalope’s sure this will turn around in the next six months. But, still, how could it be that developers prefer iOS to Android, what with all the very obvious winning? Running the numbers, we find that, on average, for every $1.00 generated on iOS, the same app will generate $0.24 on Android. Well, yes, but on the other hand, doesn’t making all the money make iOS developers feel dirty? How do they sleep at night? (“On a bed of $100 bills,” one developer said.) At least Android developers can hold their heads up because they know they’re not in it for the money. See, that’s the problem with these studies. They never take the intangibles into consideration. Like, say you’re a developer who’s recently renounced material goods. Except your computer and your phone. Android’s clearly the better platform, or you’d just start collecting material goods again. Anyway, you might be surprised to learn which big company headquartered in the Pacific Northwest—and which used to be important in technology—is one of these developers choosing iOS. The Macalope’s been giving Microsoft a hard time, well, forever. (And, let’s face it, with a head like this it’s not like he’s ever going to stop.) But while he jokes about the company enjoying its retirement, it turns out you really can teach an old dog new tricks. Microsoft appears to be fully embracing iOS with a slew of new apps including SkyDrive, Xbox Live, OneNote for iPad, and even an iOS app version of Kinectimals, the popular Xbox 360 Kinect children’s game. Remember when we used to have to bribe Microsoft to develop for our platforms? Well, Mac users, this is your revenge for having to use Internet Explorer for five years. Enjoy! Joe Wilcox wonders why Microsoft doesn’t develop more for the platform that it actually makes money off of—Android—what with its medieval tithing of Android OEMs. It’s possible it’s just because Microsoft’s already got a group that knows how to code for OS X and has always been Java-averse. But the Macalope suspects the real reason is more strategic than that. James Kendrick thinks Microsoft is developing for iOS just to remind mobile users that it exists. Which is probably a good part of it. If you mostly use mobile products, you don’t use anything from Microsoft, except maybe email. But then why not develop more for Android? 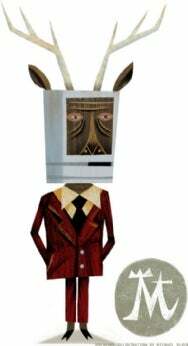 The Macalope wonders if it’s because Microsoft feels its real competition in smartphones is with Android, not iOS. Certainly that’s the case in trying to get OEMs to create Windows Phone 7 handsets, which is why the company’s focusing on taxing them for every Android phone they sell. Whatever the case, technology sure makes for strange bedfellows, doesn’t it? Which is just a euphemism. Don’t get grossed out by visions of sharing a bed with Steve Ballmer.